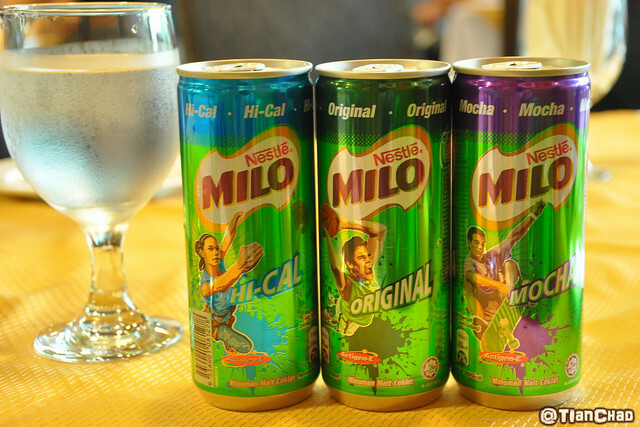 Do you remember my blog post about MILO CANS NEXT GAMES where you can win RM10,000 cash?! [Read the blogpost here]. Guess what? 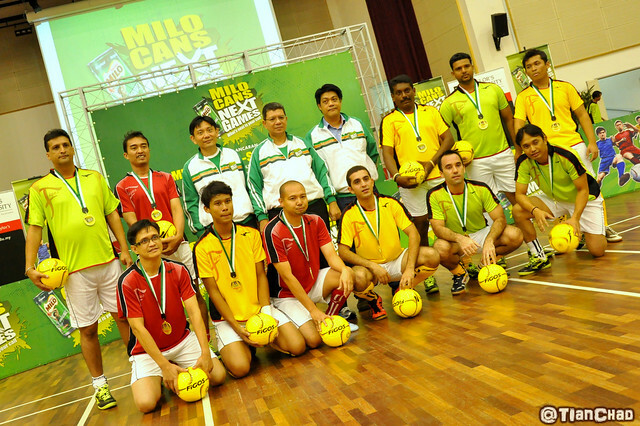 6th march marks the day of the launch of MILO 3-Sides Futsal Challenge! 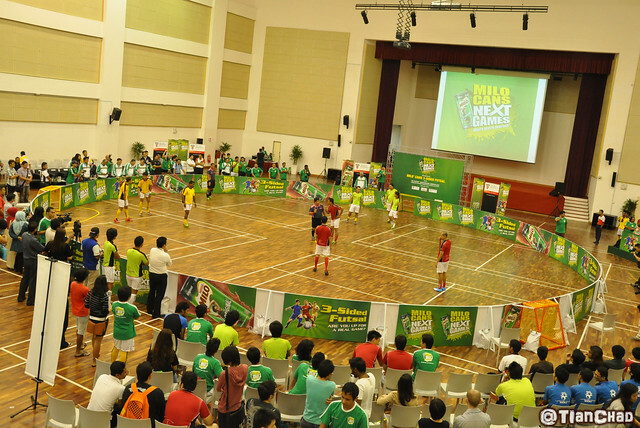 A brand new extraordinary sport with 3 teams competing in a circular futsal court. 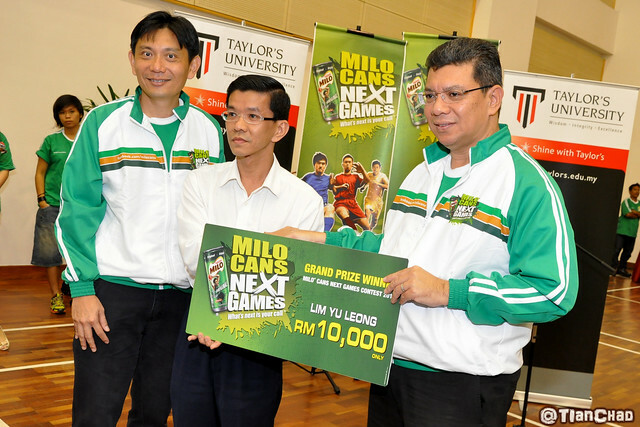 This MILO Cans Next Games is open to 81 university/college teams where they can win up to RM10,000 cash with trophy and medals! 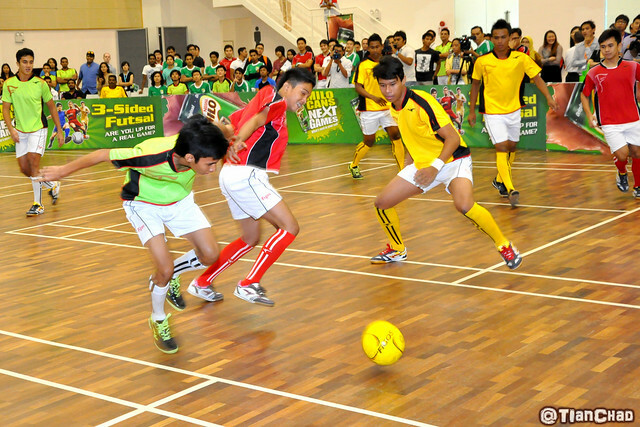 3-Sided Futsal has a round field instead of a rectangle. There will be 3 different goal for 3 different team. 3 group (with 3 members/group) versus each other and try to score a goal. It is definitely something new. For safety purpose, I suggest they create a sphere shape net to prevent the ball to hit the audience. It would be great for players to shoot a goal too! 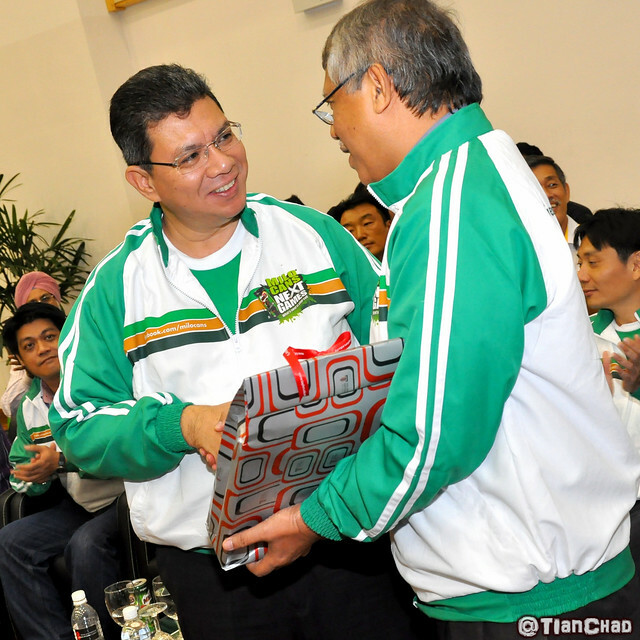 This new futsal game is not only the first ever in Malaysia but also in the World. That's a big record and as a Malaysian who won't be proud to be part of it? 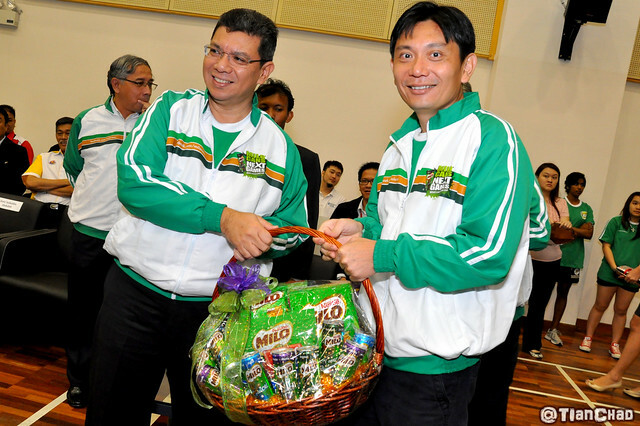 =) This event marks another step forward in MILO's effort to reach out to the Malaysian sports fraternity especially university and college students. It gives youth and students a different exposure and hope this will encourage more student to participate in sports. He did a very nice sport reporting =) Quite cool and need instance response. If not wrong I believe they are students and lecturers? 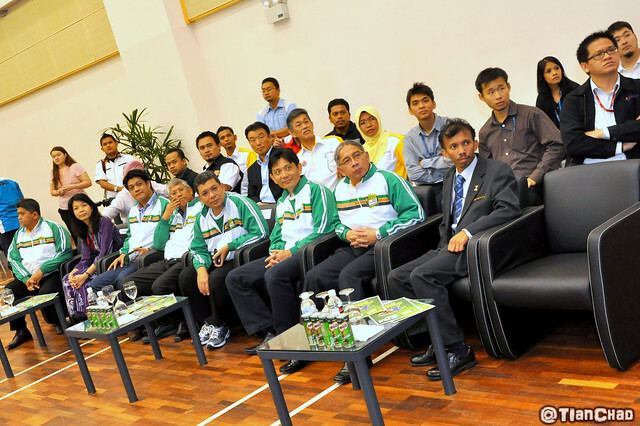 YB Dato' Saifuddin Abdullah, Deputy Minister of Higher Education Malaysia hope to see this event to be expanded to other states and universities in the future and perhaps become a national championship in the student's calendar. 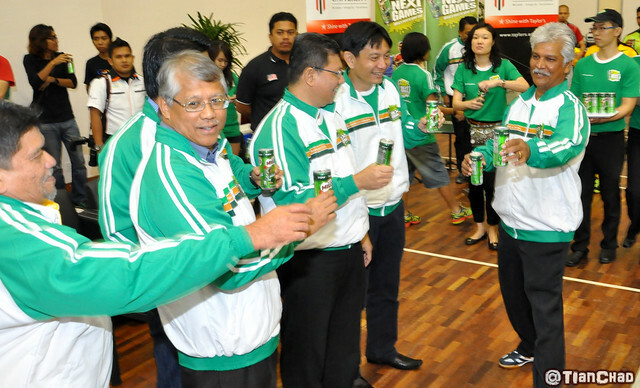 Last but not least, the VIPs cheers with the Chilled MILO CANS Drinks! 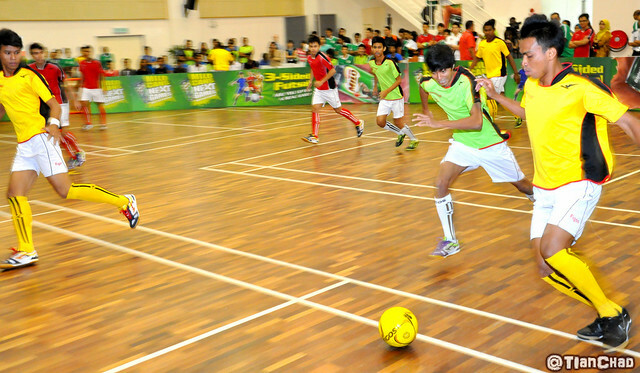 Will this 3-sides futsal be developed into basketball games too? ARE YOU UP FOR A REAL GAME? 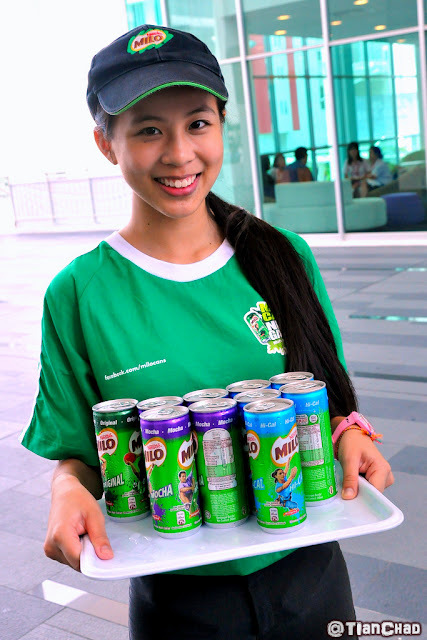 For more information, visit MILO CANS Facebook Page. 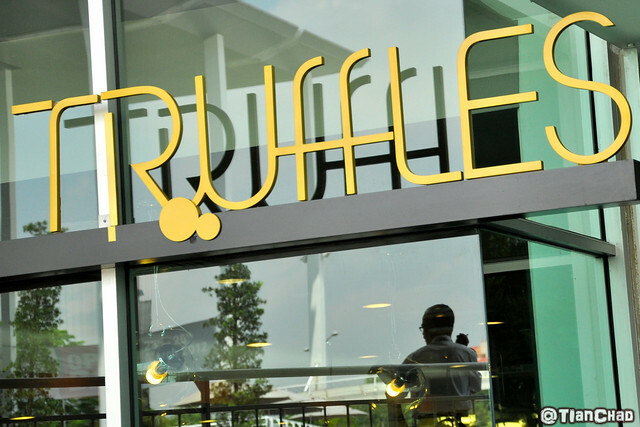 After-event lunch @ Truffles, Taylor's Lakeside. 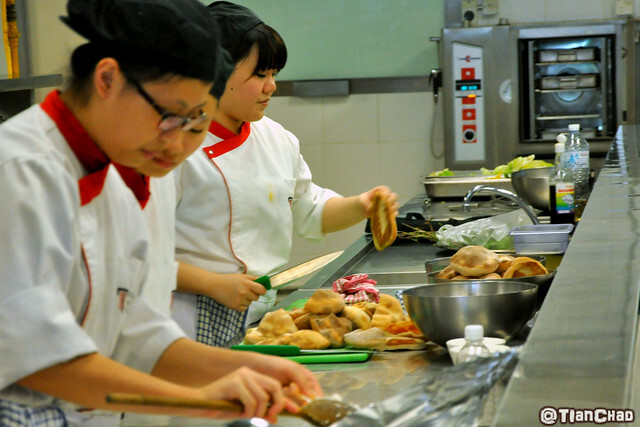 A western dining restaurant with Taylor student practicing their services. Kinda fun to see some of them who tried their best to memorize all the dishes name. Don't play play, she can speak many languages! 1Malaysia yo! 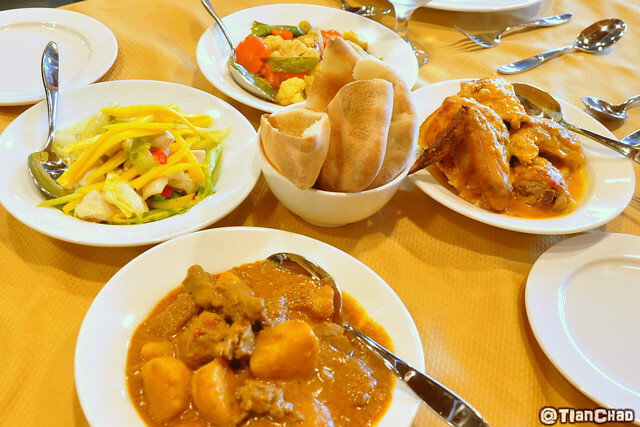 The food that has been served to us. I would like to see more green stuff/decoration in these dishes.